Our Morris County employment lawyers represent employees in all areas of employment law throughout the state of New Jersey. The Morris County discrimination lawyers of Smith Eibeler represent residents and individuals who work in Morris County in claims of Sexual Harassment, wrongful termination, Disability Discrimination, reasonable accommodation, pregnancy discrimination, severance agreements, equal pay violations, Unemployment Appeals and non-competition litigation. Our law firm is located in Monmouth County at the Bell Works building in Holmdel, New Jersey. Morris County is located in northern New Jersey and is bordered by Sussex, Passaic, Essex, Union, Somerset, Hunterdon, and Warren counties. Morris County stretches from Jefferson Township in the north, Washington Township to the west, Lincoln Park Boro to the east, and Long Hill Township to the south. Morris County has a total area of 481.62 square miles, which includes 21.45 square miles of water. Henry Hudson first discovered the land that became Morris County in 1609, and the county was later founded in 1739. According to the 2010 Census, the total population of Morris County is 492,276 people, which is comprised of 180,534 households and 129,262 families. The median age of Morris County residents is 41.3 years old, and in 2000, the median income of each Morris County household was $77,340. According to Choose New Jersey, the largest ten employers in Morris County include Picatinny Arsenal, Atlantic Health System, Novartis, Bayer, Wyndham Worldwide, Accenture, St. Clare’s Health System, BASF, PricewaterhouseCoopers, and Deloitte & Touche. Morris County is home to several museums and historic sites. This includes Morristown National Historical Park, The Longo Planetarium, The Stickley Museum at Craftsman Farms, and the Henry Doremus House. Several farms are located in Morris County, such as Alstede Farms, Hacklebarney Farms, and Stony Hill Farms. Morris County maintains nearly 40 public outdoor recreation areas and parks. This includes the Central Park of Morris County, Columbia Trail, the Frelinghuysen Arboretum, Hidden County Park, James Andrews Memorial County Park, Jonathan’s Woods, Lewis Morris County Park, and Mount Paul Memorial County Park. The Rockaway River, the Whippany River, the Raritan River, and the Black River all flow through the county. There are both public schools and private schools located in Morris County. A few of the best public high schools include The Academy for Mathematics, Science, & Engineering, Chatham High School, Morris County School of Technology, Mountain Lakes High School, and Madison High School. The county also contains private schools such as Delbarton School, Morristown-Beard School, Villa Walsh Academy, Trinity Christian School, and Morris Catholic High School. There are several institutions of higher education in the county, including the County College of Morris, the Roman Catholic women’s college, Fairleigh Dickinson University-Florham, Drew University, and the College of Saint Elizabeth. Famous persons who live or have lived in Morris County include Ben Bailey, Jane Krakowski, James Gandolfini, Laura Benanti, Kenny Agostino, William O. Baker, and Peter Dinklage. Restaurants in the area include Ruth’s Chris Steak House, II Capriccio Restaurant, Tabor Road Tavern, and H2Ocean. 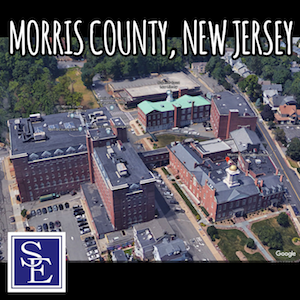 The Superior Court for Morris County is located at 56 Washington Street, Morristown, New Jersey. Our New Jersey employment lawyers can file a lawsuit and have it properly venued in Morris County if one of the parties lives in Morris County or if the employer regularly conducts business within Morris County. Should you or a family member have an employment related legal issue and are in need of a Morris County employment lawyer, please call our office today to discuss the facts and circumstances of your employment related legal issue.